What should have been front page news everywhere, somehow got buried amid the official narrative we were given about the Orlando shooting. Judge Andrew Napolitano told FOX News that an FBI transcript indicated that no one died until 05:13am Sunday morning when the police SWAT teams entered the building. “Here’s what is news in the summary – nobody died until 05:13 in the morning, when the SWAT team entered. Prior to that no one had been killed. The 53 that were injured, and the 49 that were murdered all met their fates at the time of, and during, the police entry into the building,” Judge Napolitano said. Consider that the narrative we have been given was that Omar Mateen entered the club around 02:00am on Sunday morning to begin his killing spree, so why was no one actually killed until 05:13am, over three hours later? So, this makes one question why the 911 call transcripts are being redacted and why the people are not being told the truth across the media about what really took place. We have been told that 5 to 6 police officers were already in the club for 15 to 20 minutes or more prior to the SWAT teams’ entering. So, what is the truth here? Some claim that 05:13am is the time of death, but how is that when that suspect was not even down until 05:15am? Could it be that some of the people in the club were shot by the SWAT team or by Mateen? With nearly50 people dead and more wounded, how was Mateen able to get off that many shots? I’m really curious. Take a listen to the entrance of the SWAT team into the club. According to Judge Napolitano (Fox News), the Orlando Police Department Timeline not only confirms that no one was killed before 5.13am when the SWAT team entered the building, it also confirms that the first shots were fired at 5.14am and that the suspect was killed one minute later at 5.15am. Within the scope of one minute, assaulted by the SWAT teams, the suspect according to the official narrative killed 49 people and injured 53. And this happened while the suspect was been fired at by the SWAT teams. In this regard, the OPD admits that some people were in fact killed by the SWAT teams as a result of a cross fire allegedly between the suspect and 8 or 9 SWAT officers. This important “detail” did not make the headlines of the MSM, i.e. that some of the victims were killed by SWAT officers. 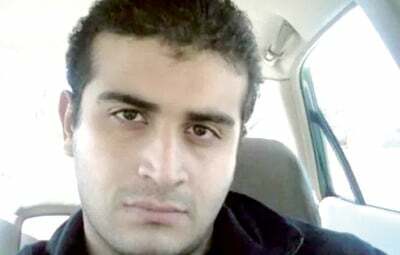 ORLANDO — Omar Mateen, the killer who claimed allegiance to the Islamic State, hid in a bathroom at Pulse, a gay nightclub where he had slaughtered scores of people. [the killings took place after 5.13am according to OPD] A wall of cinder block separated him from a team of police officers outside. For three hours early Sunday morning, crisis negotiators tried to end the siege. Then Mateen — whom police said had acted “cool and calm” during discussions — talked about killing more people [no shots fired according to OPD until 5.14am] Alarmed, police placed an explosive device against the wall and detonated it. The breach failed; the hole wasn’t large enough to allow for a successful rescue. Local, federal and state investigators continued to process the scene Monday from a collection of law enforcement mobile command units that lined South Orange in downtown Orlando. Authorities determined Mateen, 29, walked up to the club at 2:02 a.m. armed with an AR-15 rifle and a Glock handgun. An off-duty police officer working at the club Sunday night was investigating an underage drinker outside when he heard gunshots inside, according to the law enforcement source. The off-duty officer ran inside the club and traded gunfire with Mateen, backed up soon by three other police officers, the source said. The officers fired at Mateen, who retreated into a bathroom toward the rear of the club. Mateen called 911 three times from a bathroom he shared with hostages and pledged his allegiance to the Islamic State, a terrorist group also known as ISIL or ISIS. He called dispatchers twice and hung up before they called him back, the source said. Orlando police crisis negotiators were called to the club and spoke with Mateen three times. He remained calm during the talks, but he made clear that his plan was to kill more people, Mina said. A SWAT team failed to topple the exterior wall leading to the bathroom that held 15 to 20 people, so Mina made the call to use the Bearcat. Officers wore combat-grade body armor and helmets as they rammed the bathroom wall, creating a small hole — about 3 feet wide and 2 feet off the ground — so the captives could escape. Mateen wielded an AR-15 and a semiautomatic handgun he had bought from a Port St. Lucie gun shop a week ago. He fired at officers, striking one of them in his helmet before he was shot several times and died. Dozens of bullet holes dotted the exterior concrete wall, evidence of the shootout that included dozens of rounds fired by officers. The last exchange of gunfire Mateen had with Orlando police and Orange County sheriff’s deputies occurred at 5 a.m. and ended a three-hour standoff. Orlando officers walked into the nightclub and found lifeless club patrons strewn about a bar and lounge area. More bodies were found in a nearby bathroom. Were the victims shot by the SWAT teams or by Mateen who was shot at point blank at 5.15am (according to OPD report) while leaving the building together with the hostages? The Orlando Police Chief John Mina acknowledged that SWAT officers had accidentally shot people in the nightclub. The official story is that Mateen killed 49 people and injured 53.